How is everyone this fine Monday morning. We have awakened to a bit of rain after a unseasonably warm week for the month of May. When I was not painting away on special orders in my studio (with the French doors flung wide to enjoy the fresh air) I was in the garden. More on that in a moment. We had a baby shower to attend this weekend, (wish I had gotten photos, the gals that put it on did a fantastic job) and I had to whip up a gift. The parents wanted to wait until the baby was born to find out the gender so my present needed to be gender neutral. I have had an idea for customizable growth charts knocking about my brain for a while now. Ones that can hang on the wall, be move around or taken with you if you move. And the above is what I came up with for a start. Since we do not know the name or the birthdate of this child it is plain but when I add a line of growth charts to my website the customer can order plain stained wood like this or I can paint the background a color, names, birthdates and sayings can be added along with motifs. A longer version will be available too. I already have a couple orders just from gals seeing this one at the baby shower so I think it will be a great addition to the website. Now on to my garden. I am slowly getting things cleaned up. 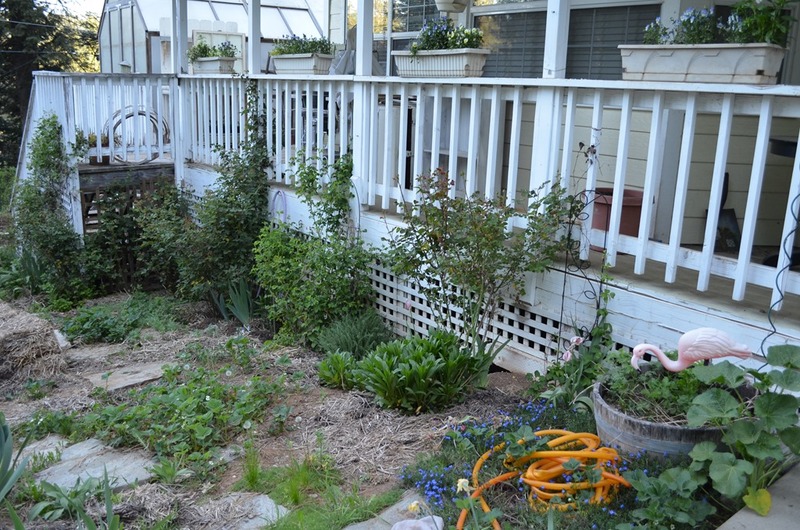 Here is my side yard complete with roses climbing the porch posts. I pegged many along the lattice to garnish as many blooms as I can, and these bushes are LOADED with rosebuds so soon this will be full of color. 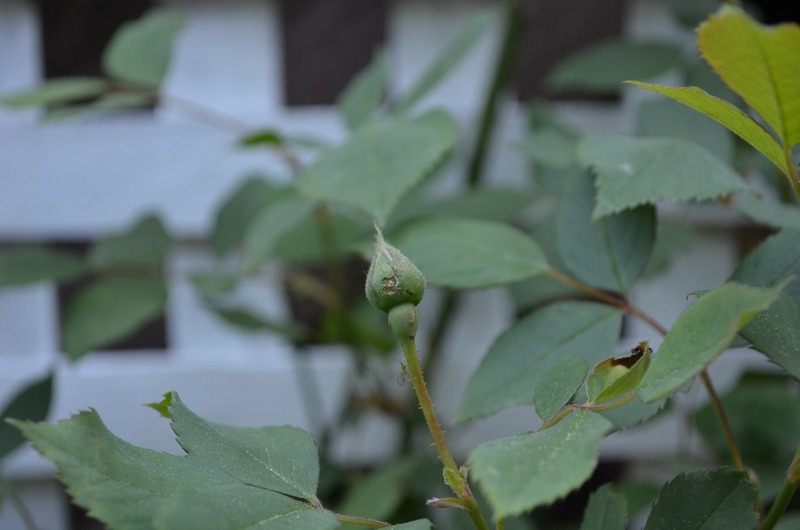 This rose is already blooming away but it is always first. 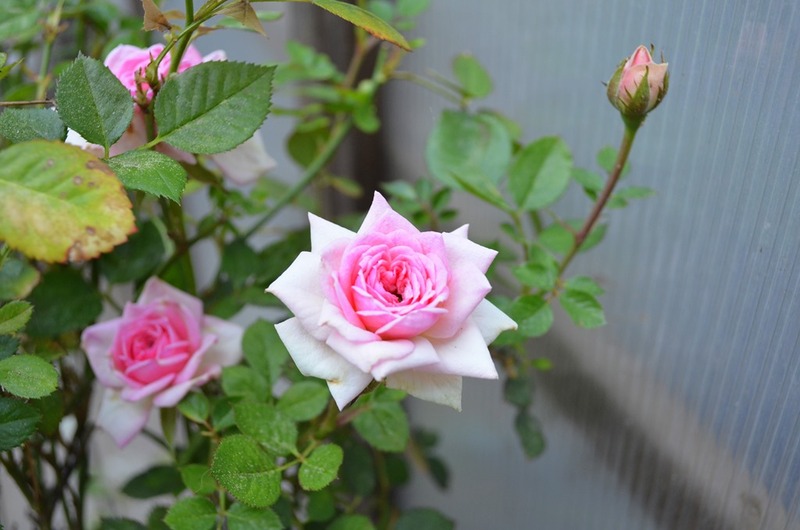 This is one of the mini roses you can pick up in Wal-Mart or grocery store in a little 4 inch pot. Since this one does so well for me I just picked up a red one in SaveMart when I spotted it. 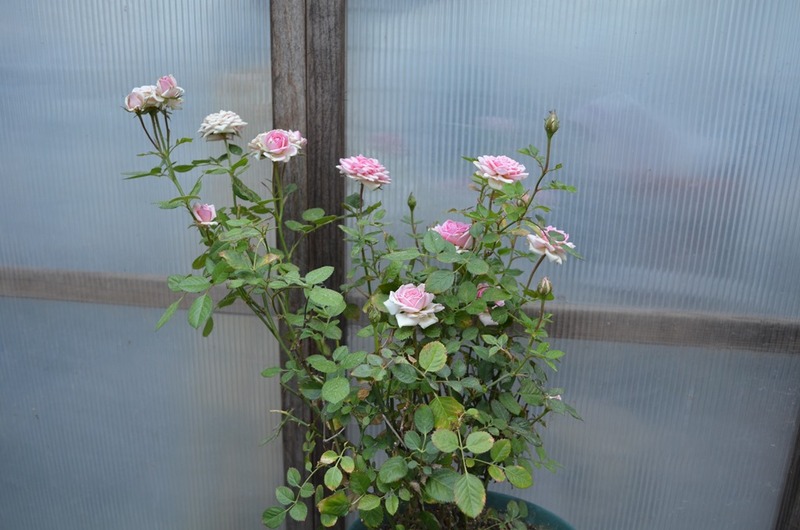 I over winter this pink one every year in the greenhouse or on my side porch and it has just flourished and blooms thru the summer without let up. I have had this one for 7 years now and it just does not quit. 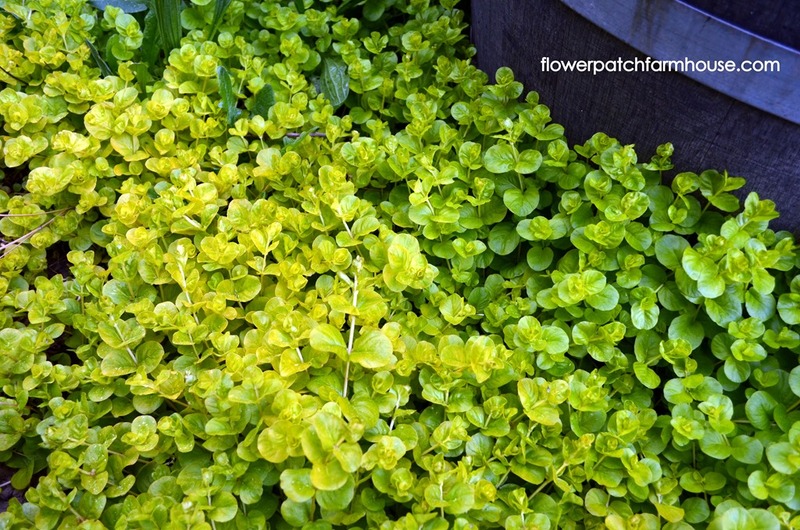 The Creeping Jenny is filling in the dry bare areas as I wished it to, now this can get out of hand for some people so be careful where you put it or of where you live, I can control it by not watering and since we have dry summers that works but if you live in an area that gets plentiful summer rain you might want to skip on this one. 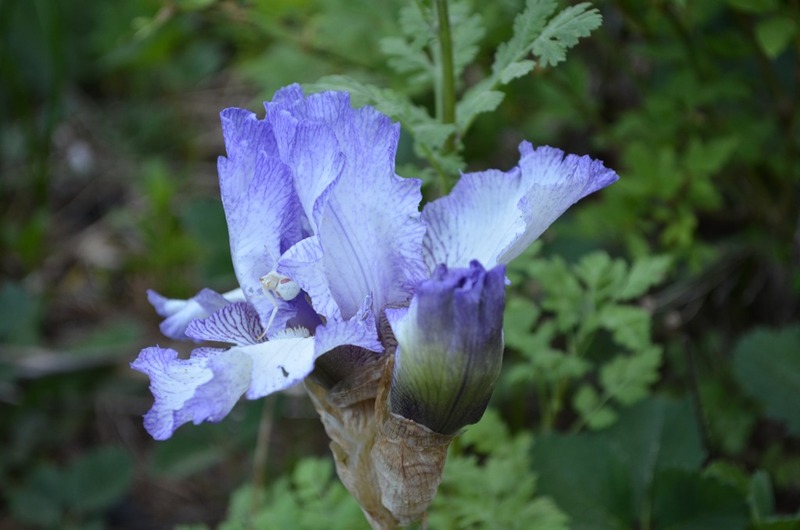 I have a few iris starting to bloom, this darker purple always goes first and is normally done by the time any others open but this year I have an early bird on another. This white one with lavender edging is just opening up and it has stayed rather short, now sure why might be the spot it is in. 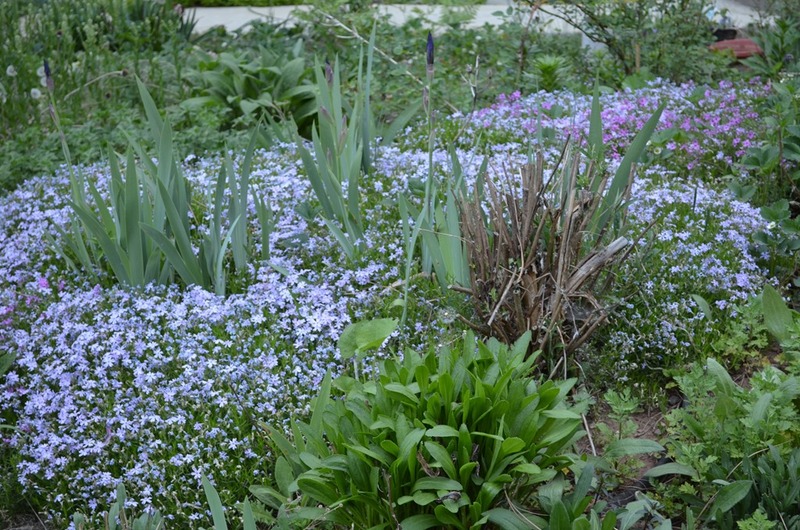 A carpet of lavender and pink creeping phlox, a shame this only blooms a few weeks. The dead clump of sticks there is really my Butterfly Bush. It is just starting to bud out. I have to cut it back hard each Fall or the snow breaks it down. 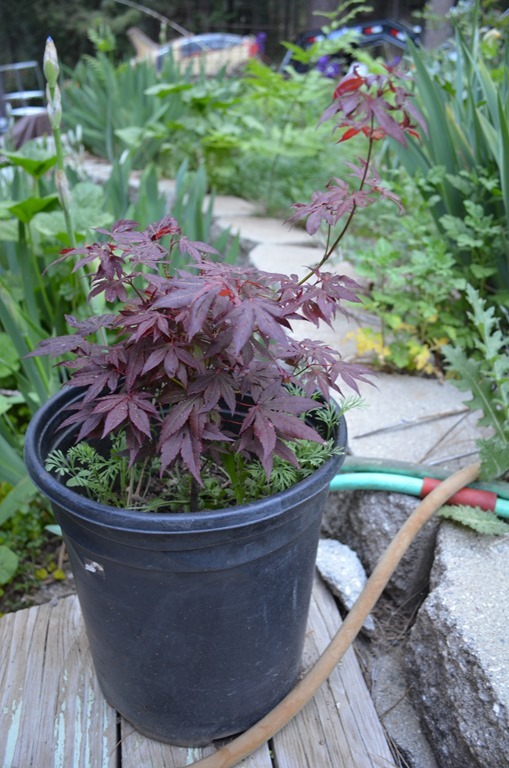 I have about 6 of these Japanese Maples, I grew them from seed. If you can believe it they are about 5 years old. Slow growers to be sure. 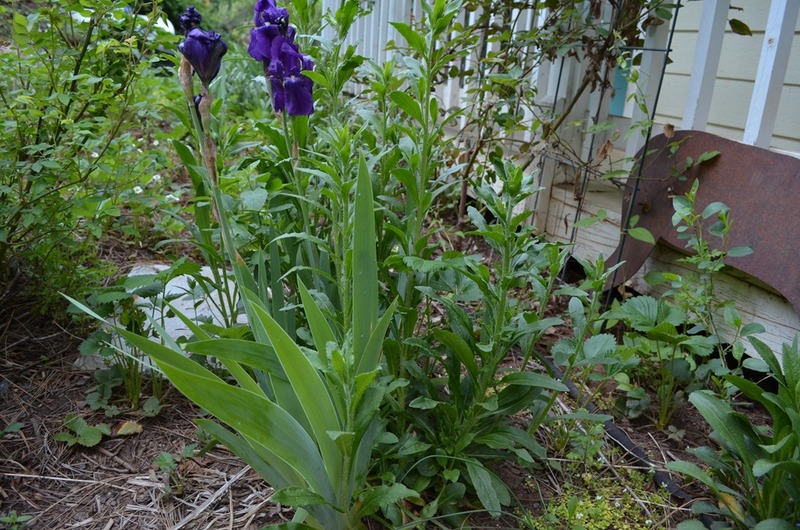 See the plant snuggled up to the iris here, it is already taller than the iris. Look at it just a month ago in the photo below. How fast it shot up with a little warmth and sunshine. 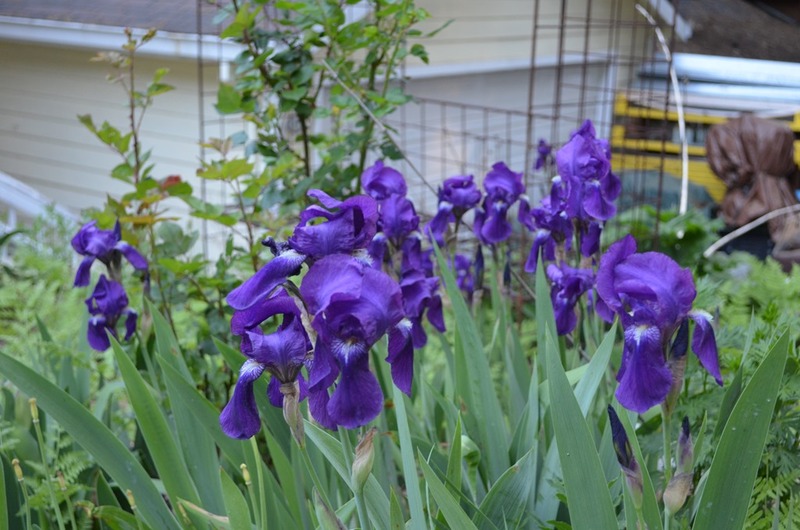 These are my Canterbury Bells and they bloom in lovely purple and pink. It has been so warm that I braved it and put my tomato and basil plants out earlier than usual. Normally we don’t put out frost tender plants until the third weekend in May. Above is my basil planted in the straw bale raised bed. Also if you look by the little overturned pot in the photo you will see the sprouting sugar snap peas. 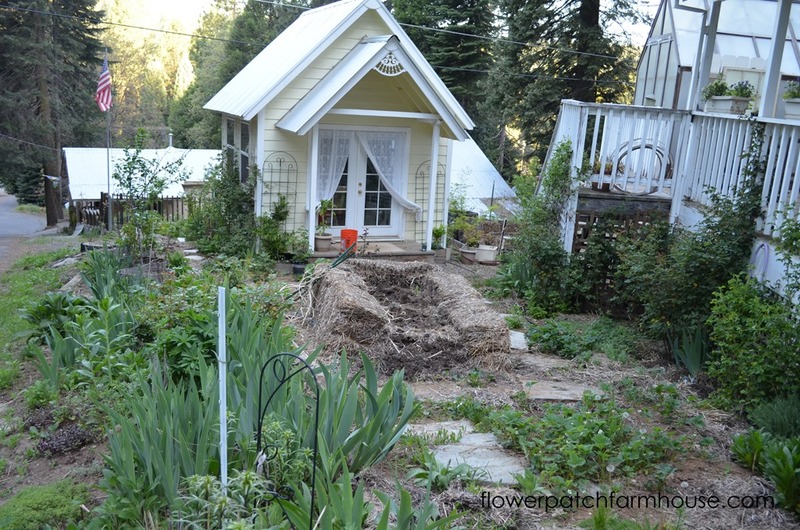 Speaking of raised straw bale beds, I am taking down the one in the side yard. 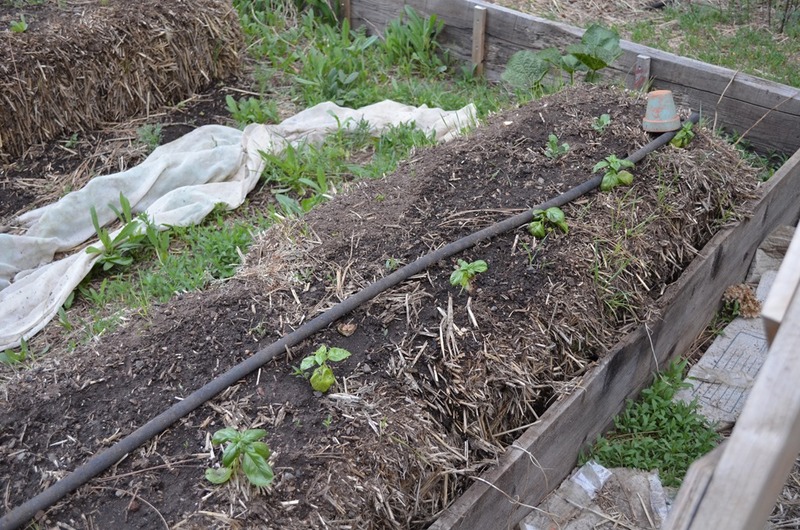 It was in the way of what I wanted to do here and it was starting to break down, it worked great as a hot bed last season and now it is already mostly fantastic compost. 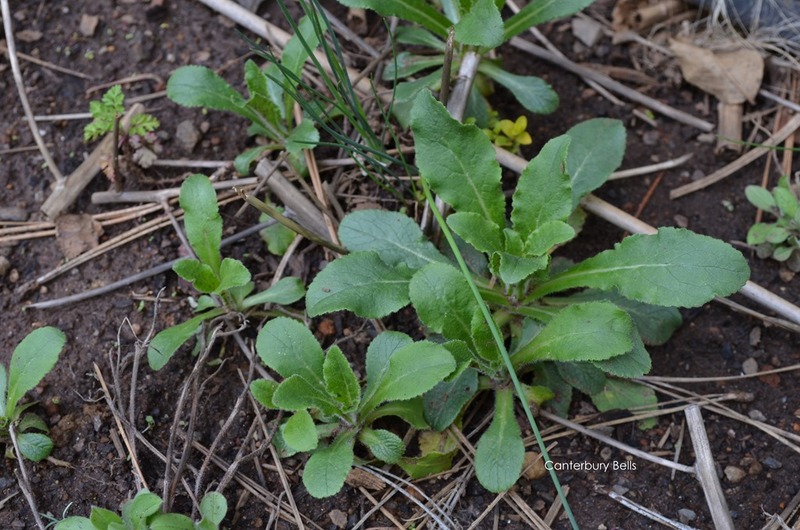 I have been spreading it all around to heavily mulch my garden to help conserve water on what seems is going to be a very dry summer. 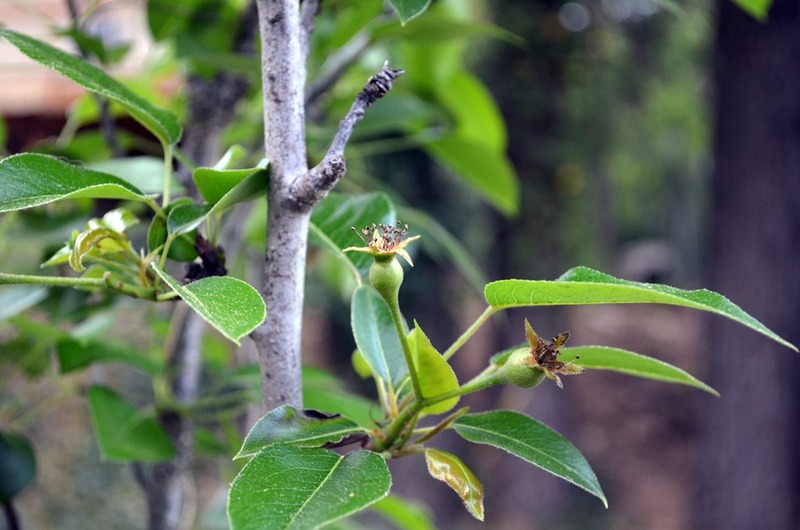 My Pear tree. 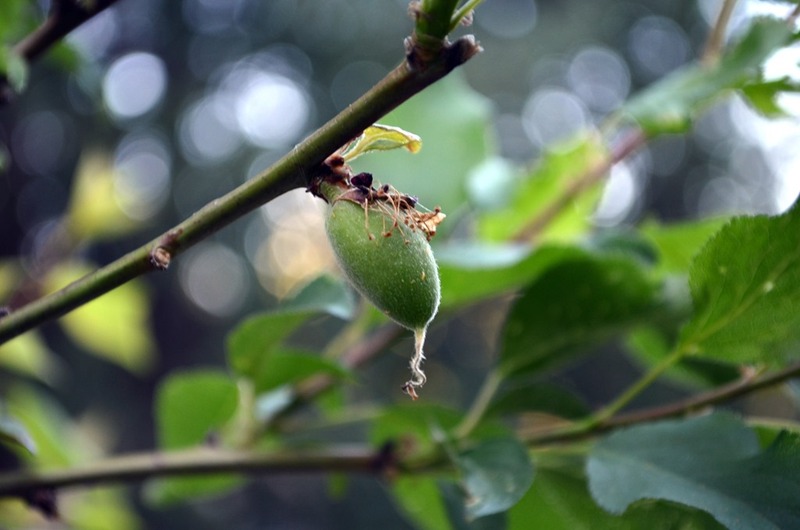 Since we had a frost when it was in full bloom I did not expect to see any fruit but it is loaded with little Pears, now to keep them safe from marauding birds. The Robins have already been scouting around all my strawberry plants. And I have a lone little apricot on my tree. Half of the tree has died and I am holding my breath that whatever is wrong has only effect those branches but it does not look good. Wait and see is all we can do. Wishing you all a fantastic Monday. I am off to the studio to paint. What a beautiful garden you have. Would love for you to share your photos at Simple & Sweet Fridays. I am so glad you found plenty of inspiration here. My sister in law does the quilts, she does fabulous work. The Tequila lime bars are addictive but oh so worth it.